The Temple of the ancient goddess Cybele in Bulgaria’s Black Sea town of Balchik, the modern-day successor of ancient Krounoi / Dionysopolis and medieval Karvuna, was discovered in April 2007 during the construction of a hotel on private property. Cybele was an Anatolian mother goddess of all life, nature, and fertility. It is the only known goddess of Ancient Phrygia, and was worshiped in Ancient Thrace, Ancient Greece, and Ancient Rome. The Cybele Temple of ancient Dionysopolis was built ca. 280-260 BC, and remained in operation for some 700 years. In 378 AD, it was burned down by the Goths, and was never restored after that, and in 544-545 AD, it was sealed off as a result of a natural calamity, possibly a tsunami in the Black Sea. Learn more about ancient Krounoi / Dionysopolis and medieval Karvuna, today’s Balchik, and the Temple of Cybele in the Background Infonotes below! 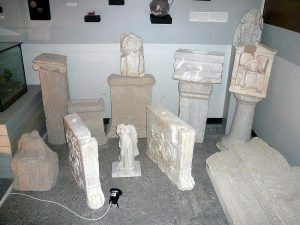 During its rescue excavations since 2007, the Temple of Cybele in Bulgaria’s Balchik has yielded the largest quantity of items connected with the cult for the Phrygian mother goddess to be found anywhere in the world. The numerous statues and other artifacts from the Temple are part of the collection of the Balchik Museum of History. However, the site of the Temple has remained inaccessible for tourists because it is located on private property. Now Balchik Municipality is contemplating “moving” the temple closer to the beaches and sea alley of the town in order to exhibit it there. This idea has been preserved by Balchik Mayor Nikolay Angelov in Prague, the Czech Republic, during the 12th World Meeting of Bulgarian Media, Balchik Municipality has announced. Speaking as a panelist in a panel entitled “Regional Policies on Cultural Heritage Preservation”, Angelov present the recently completed EU funded project of Balchik Municipality for the restoration of the Late Antiquity Early Byzantine fortress Dionysopolis (whose location was changed after the natural disaster in the 6th century), the Old Mill located near the Port of Balchik, which was built in 1909, and the joint Christian and Muslim shrine Ak Yazala Baba – St. Athanasius near the town of Obrochishte. The other participants in the same panel were Kazanlak Mayor Galina Stoyanova, Veliko Tarnovo Mayor Daniel Panov, and Nessebar Mayor Nikolay Dimitrov. 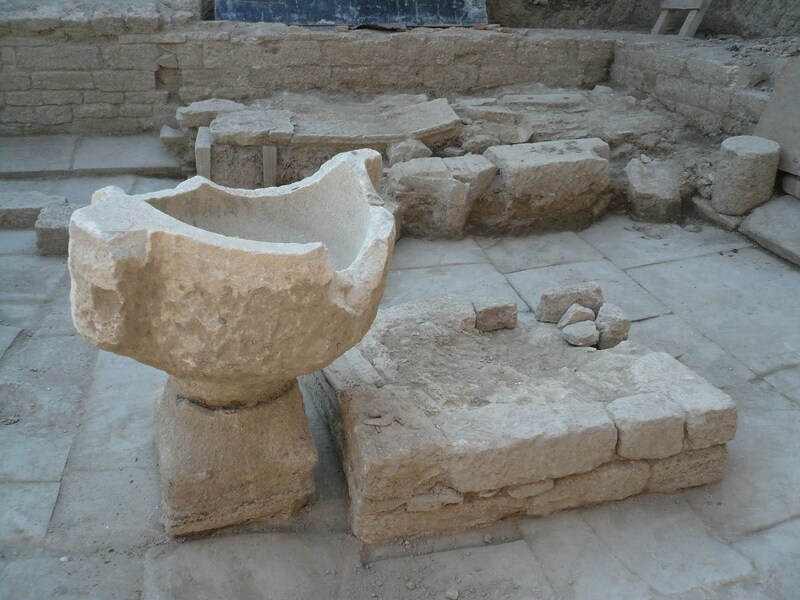 The Mayor of Balchik has argued that by “moving” the Temple of Cybele from the private property where it was discovered, the Municipality will not only make it accessible for visitors but will also be able to preserve it. The idea of Balchik Municipality has been supported by archaeologist Nikolay Ovcharov who was the moderator of the panel on cultural heritage. The Temple of the ancient goddess Cybele in Bulgaria’s Black Sea town of Balchik (successor of ancient Krounoi and Dionysopolis, and medieval Karvuna) was discovered by accident in April 2007 during the construction of a hotel on private property. Cybele was an Anatolian mother goddess of all life, nature, and fertility. It is the only known goddess of Ancient Phrygia, and was worshiped in Ancient Thrace, and also in Ancient Greece and Ancient Rome. The Roman cult for Cybele emerged during the Second Punic War (218-201 BC) based on a prophecy commanding that a great eastern goddess be brought to Rome to rescue it from the Carthage forces led by Hannibal. 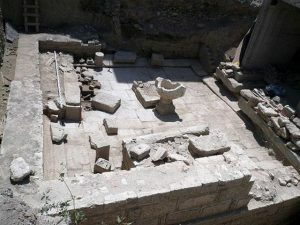 The Temple of Cybele was found in a coastal area of Bulgaria’s Balchik when a construction excavator exposed an ancient rectangular building sealed by a natural calamity. It is said to be the only known Cybele temple in the eastern part of the Balkan Peninsula, and the best preserved Hellenistic Era temple in today’s Bulgaria. With a total territory of 93.5 square meters, it also has the largest quantity of items connected with the cult for the mother goddess Cybele to be found anywhere in the world. The temple was built in at the end of the 4th or the beginning of the 3rd century BC. More precise dating based on the Ionic order of classical architecture discovered there, the construction techniques, and the construction ceramics has it that it was built some time between 280 and 260 BC. The coins, ceramic vessels, and numerous inscriptions found inside indicate the temple was in operation constantly for about 700 years; it kept functioning decades after Christianity was legalized and gradually emerged as the official religion of the Roman Empire in the 4th century AD. The Temple of Cybele in Bulgaria’s Balchik was burned down in 378 AD together with other settlements in the Roman provinces of Moesia Secunda and Scythia Minor in a rebellion of the Goths who had been allowed to settle there as foederati two years earlier. This is confirmed by the latest coins found in the temple under a layer of broken tiles in the naos. These were minted by Roman Co-Emperors Valentian (r. 364-375 AD) and Valens (r. 364-378 AD). After this raid the temple was never restored. In the 5th-6th century, it was deconstructed to the present day level. In 544-545 AD, the coast of ancient Dionysopolis (today’s Balchik) was possibly hit by a tsunami which caused a landslide that buried and sealed off the former temple of Cybele. After the Cybele Temple was discovered by accident on April 23, 2007 (with the builders destroying its western wall), it was first studied in rescue excavations between May and September 2007 by archaeologists Igor Lazrenko and Elina Mircheva from the Varna Museum of Archaeology, and Radostina Encheva from the Balchik Museum of History. During the rescue excavations in 2007, the archaeologists exposed the central part of the temple building. It had a two-slope roof covered with tiles which had been replaced over the years. It was built with a north-south orientation of large stone blocks connected with lead soldering. It was placed on a high foundation, a podium, making it stand out above the level of the then streets and squares of ancient Dionysopolis. The upper part of its façade was decorated with relief friezes with bovine skulls (bucrania), garlands, and rosettes, while the floor was covered with stone slabs. On its northern wall it had an image of the sun god Helios, and an aedicula, i.e. the shrine where the main temple statue was probably located. In the middle, there was a luterion (a marble vessel similar to a baptismal font). The western and eastern walls had benches with legs decorated as lion paws. The rescue excavations revealed numerous marble statues and reliefs of the goddess Cybele, coins, bone needles, ceramic and glass vessels, and inscriptions in Ancient Greek and Latin. The archaeologists have found there a number of intact or semi-preserved marble statues, most of them of the “Great Mother of Gods”, Cybele. The marble reliefs in the temple had more diverse scenes. Some of the most interesting items include a relief with Cybele decorating the upper part of a marble slab with a list of participants in a religious procession; a slab from the tomb of young man which was donated to the Mother of Gods by his father; another relief on a marble frieze depicts ten dancing women with long dresses; a marble vessel with two similar female figures; two votive tables of Heros, also known as the Thracian Horseman, the supreme deity of the Ancient Thracians, one of them with an inscription. Almost all statues and statuettes discovered in the temple are of Cybele. In four of the statuettes, there is a lion lying in the goddess’s lap. The main statue depicted her wearing a long chiton sitting on a throne, with a phiale in her right hand and what probably was scepter in her left hand held to the site. 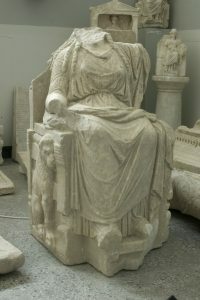 The lion is not in her lap but depicted in a relief squatting on the right side of the throne. A total of 27 fully or almost fully preserved inscriptions plus several fragments of inscriptions have been discovered in the Cybele temple in Bulgaria’s Balchik. All but one were written in Ancient Greek. The earliest inscription is from the 3rd century BC, while the latest is from the first quarter of the 4th century AD, and is the only one in Latin. Most of the inscriptions are from the Hellenistic Age, and seven are from the Roman period (1st-4th century AD). One of the inscriptions, from the 1st century AD, informs of a rich donation to the temple including the consecration of statues and reliefs, decoration of the shrine, and the erection of a covered colonnade. In the inscription in Balchik, the goddess is called “Pontian Mother of Gods”, “Pontian Mother”, and “Pontian Goddess” while the temple itself is called Metroon. The epithet “Pontian” is found for the first time, and its association with the sea could be a local modification of the cult for Cybele. The inscriptions show that the temple received as donations real estate properties, vineyards, workshops, and buildings which were rented out. The income was used to pay for feasts dedicated to goddess Cybele. There is an archive where all donations were described in detail, and the temple had slaves of its won. The inscriptions also include a list of priests and servants of Cybele. The religious community celebrated her cult on the 1st of every month. One of the inscriptions reveals there was a holiday in which only women participated – by collecting flowers, organizing a procession, and presenting sacrificial gifts. The Temple of Cybele in the Bulgarian Black Sea town of Balchik has been granted the status of a monument of culture of national importance. A total of 38 artifacts and monuments have been restored with funding from the America for Bulgaria Foundation, a NGO. These include statues of the mother goddess, and the image of god Helios. These can be seen in the Balchik Museum of History. According to Herodotus, Dionysopolis was founded at the time of the reign of Astyages, King of the Median Empire (r. 585-550 BC). At first named Krounoi (meaning “springs”) and inhabited by Thracians, Scytians, and Greeks, in the 3rd century BC the colony was renamed Dionysopolis after the sea washed ashore a wooden statue of god Dionysus. The Ancient Greek colony was located where today’s Balchik has its fishing port. The city was mentioned in a certificate issued in 1230 AD by Bulgarian Tsar Ivan Asen II (r. 1218-1241 AD) granting trading rights to merchants from the Adriatic city of Dubrovnik, after the Battle of Klokotnitsa. An Italian naval map of the Black Sea from 1296 AD mentioned Karvuna as “Carbona”. In the middle of the 14th century, Karvuna, today’s Balchik, became the capital of Bulgarian boyar Balik (r. ca. 1337-1366 AD), a powerful feudal lord who acquired independence from the Bulgarian Tsar setting up the so called Dobrudzha Despotate, also known as the Principality of Karvuna, in the region of Dobrudzha, today’s Northeast Bulgaria and Southeast Romania.